How much has your business paid you in the last 12 months? Not revenue. How much money did you get to take out of your business’ bank account and transfer into your personal bank account? If you don’t have separate bank accounts, that’s a small problem, but one that can be easily fixed. If it wasn’t enough to be paid for the hours you put in, that’s a bigger problem. But we can also fix that. And if you don’t know how much money went out and how much came in, that’s a very big problem, especially if you’re trying to run a business. But again, it’s fixable. I’m going to get straight to the point here and skip all the blah-blah-blah, sales-pitchy text. If you’re unhappy with your business’ results or feel like your business is unorganized, you don’t need more noise; you need the basics. An organized business follows a system to achieve that formula. There’s no re-inventing the wheel, complicated plans or trying a million and one things to see what sticks. Chances are, you know everything you need to know and have everything you need, right now, to run a profitable business. You’ve got all the right puzzle pieces, you just have to put them in the right place. This planner is a simple, repeatable, 5-step system that puts everything in place for your business to follow the success formula and reach your goals this year. You have to know where you want to end up before you start moving (unless you’re looking for an adventure, in which case, wander away!). And if you want to end up someplace new and reach a goal you’ve never reached, you’ve got to do things you’ve never done. You can’t repeat what you did last year and expect new results…or even the same results. Planning involves not only setting achievable goals, but thinking about what you’re going to change to reach them. There really are a million and one things you could do as a business owner, but randomly adding tasks to your to-do list is like throwing darts in the dark; how do you know if you’re working on the right things that will result in sales? There will always be more to do than there is time to do it, so you must strategically organize your to-do’s to ensure the work that goes on your schedule is purposeful. You also must create balance. 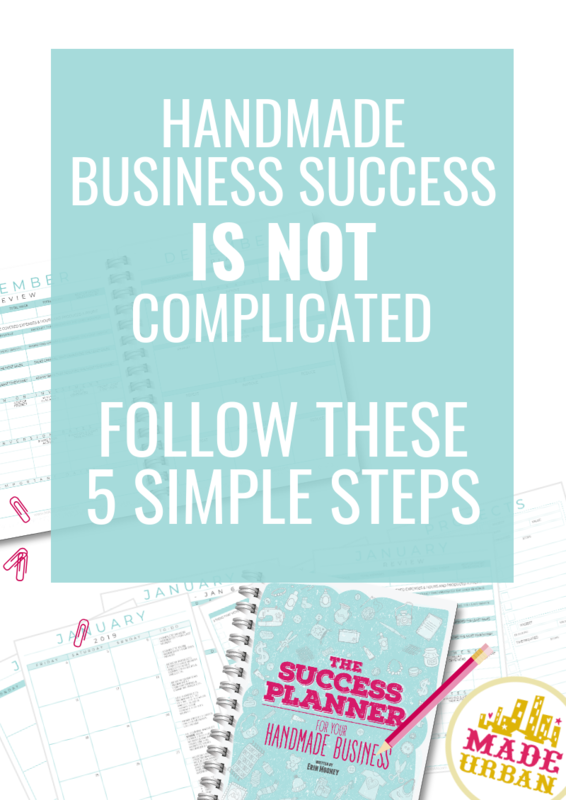 A handmade business requires the extra workload of creating all the products you sell, but you cannot let creating take over while important tasks that sell those creations are ignored. I hate ending a day feeling like I was unproductive or didn’t accomplish what I needed to…or worse yet, not even knowing what I needed to accomplish and feeling like I worked for the sake of working. If you build your schedule from the organized tasks that are a part of the steps in projects, which are a part of a bigger plan, you’ll have a simple and valuable to-do list that keeps you on track. Tracking numbers can become a bit of a ham story. You know the one where someone asks their mom why she cuts the ends of the ham before putting it in the oven. Mom says she was following her mom’s actions, who was following her mom’s actions and great grandma finally explains that she did it so the ham would fit in her roasting pan. Generations had been wasting perfectly good ham simply because they were blindly following someone else’s actions. I don’t want you to be wasting perfectly good time on meaningless tasks, and excessive tracking tends to be one of them. There are three things that must be tracked each month to properly review your business and make decisions that increase profits. I’ve created a planner to help you organize your business and achieve your goals this year. It’s an ebook AND planner. The ebook explains the steps you must follow to achieve the success formula (money in is greater than money out) and the planner includes the worksheets to help you implement the steps and plan your schedule. There are dated calendars and weekly planners for 2019 as well as forms and spreadsheets for reviewing, planning, organizing and tracking. 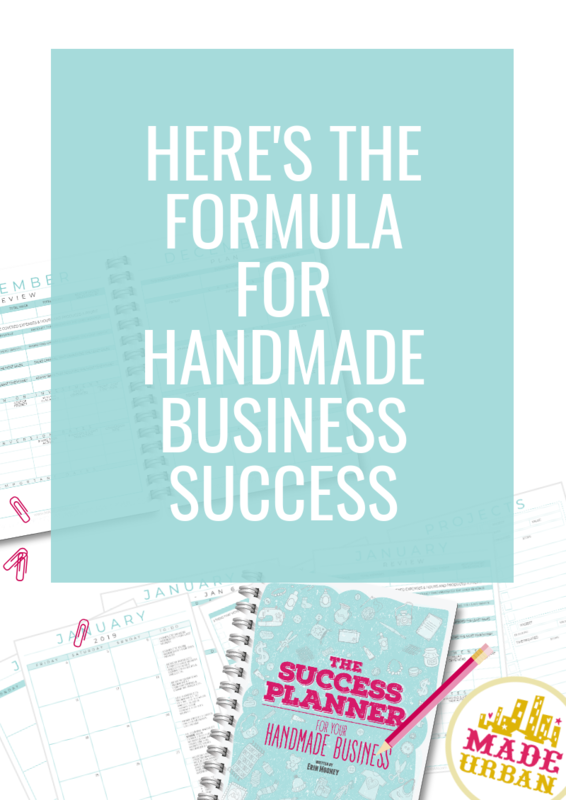 *THE SUCCESS PLANNER FOR YOUR HANDMADE BUSINESS includes an ebook, workbook, and extra worksheets. I am now offering the planner for the final 3 quarters of the year, at a discounted price. In this version, the ebook and extra worksheets remain the same as the full-year version, while the workbook simply excludes the worksheets for January, February, and March. I’ve created this planner to help make 2019 your most successful year yet. I do hope you have a successful year in all areas of your life, but this planner is focused on your business. It doesn’t have sections to track how many glasses of water you drink per day, plan your exercise routines or figure out where you’ll go for date night. I’m getting right down to business. I imagine you’d just like to start with a smooth operating business that supplies you with consistent sales, and then see where things take you. Let’s make this the year that happens. Although the monthly planning worksheets I shared over the past year were really popular and used by thousands, this is the first year I’ve expanded on them and am offering a yearly planner. Because this is the first edition, THE SUCCESS PLANNER is affordable and is a printable PDF. 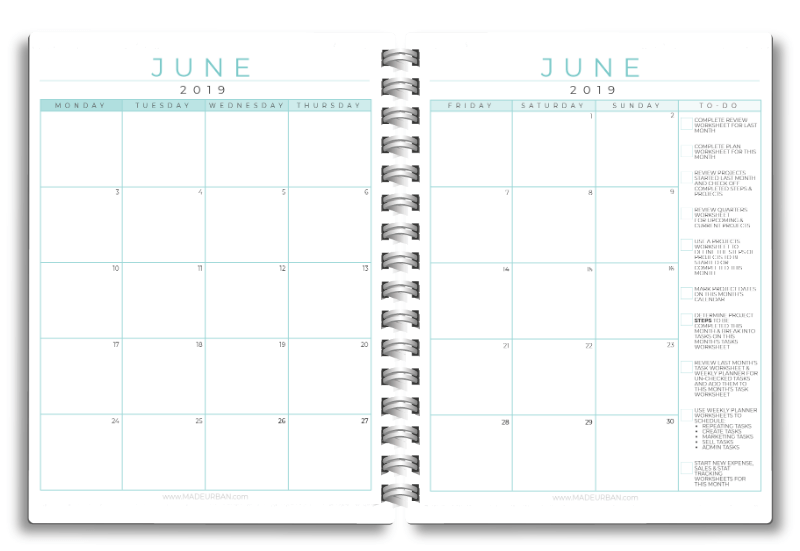 Feel free to email me to let me know your interest in a physical, printed-for-you planner, but, I don’t have one available for 2019. 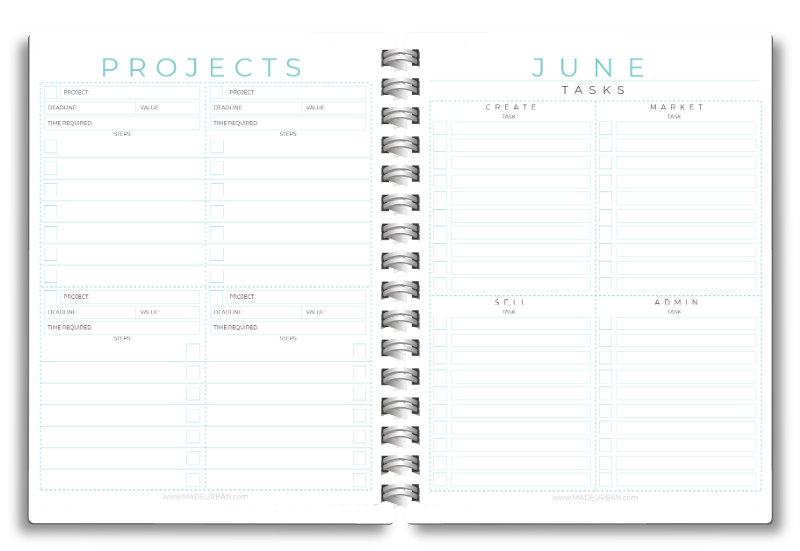 This planner was created to be printed on the front and back of 8.5” x 11” sheets of paper, hole punched and placed in a binder. I want to gather feedback, make updates and make sure everyone finds this planner as valuable as I think they will, before I start having it professionally printed. With that said, please feel free to send me your feedback. Let me know what you love, don’t love, think could be clearer, etc. If I make any updates to the worksheets throughout the year, people who purchase the planner, will receive them. This is an ebook and planner in one. I’m not simply giving you a bunch of blank pages to fill in and figure out your year on your own. I’m teaching you the steps involved in organizing your business. The ebook thoroughly explains each step and worksheet. 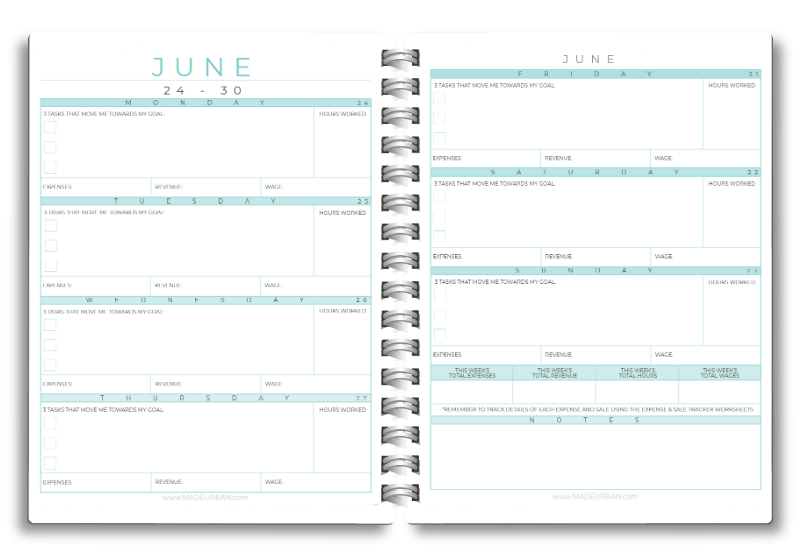 It walks you through how to fill in each page of your planner and when to fill it in. 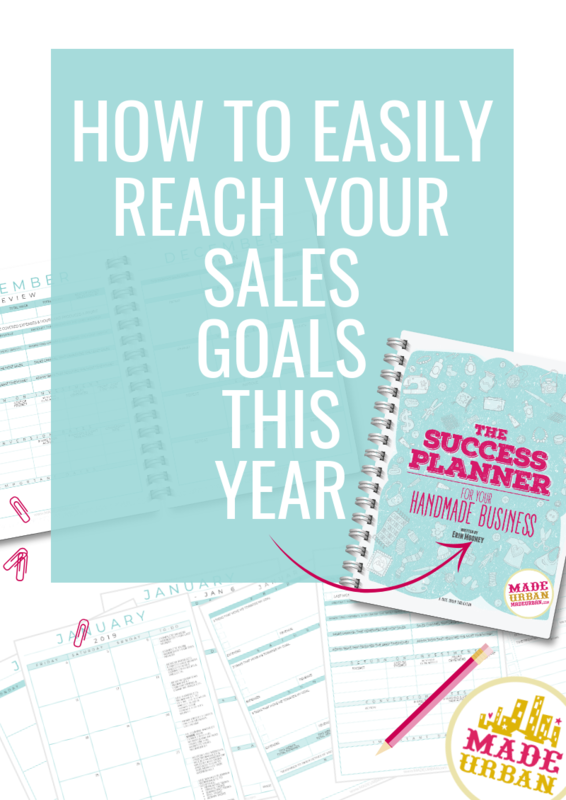 It’s important to read and understand this ebook before you jump into using the planner. This planner is not like a regular planner, it’s a cool planner (Mean Girls anyone?). It includes worksheets you don’t typically see in business planners and creates an organized system that guides you to your goals. In addition to the typical pages included in planners (yearly, monthly and weekly calendars), there are 15 different types of worksheet to help you follow the 5 steps. The planner includes worksheets you may need extra copies of. Those worksheets are bundled in this PDF for easy finding and printing. 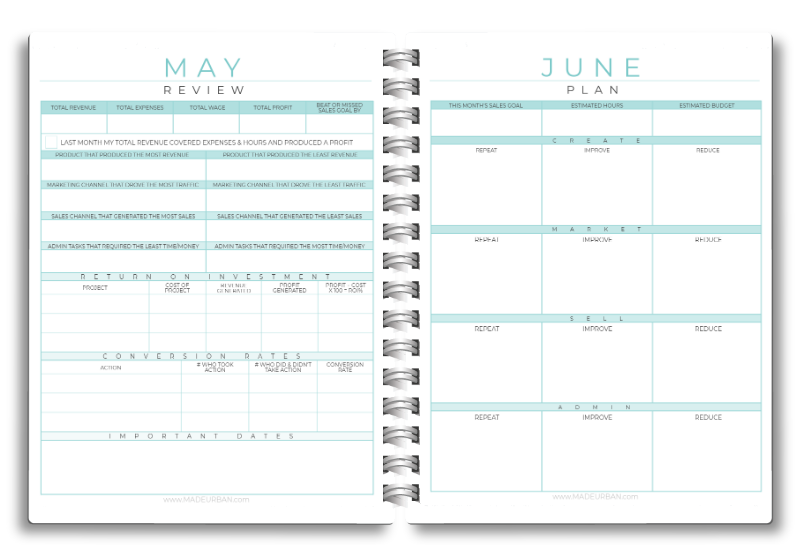 Do you offer this planner in print? Not this year. This is the first edition of the full year planner, so I want to gather feedback before I send it to print. But the great part about that is; you get it at a great price and can download it right now to start planning your most successful year today! Can I use this planner to keep track of personal tasks? 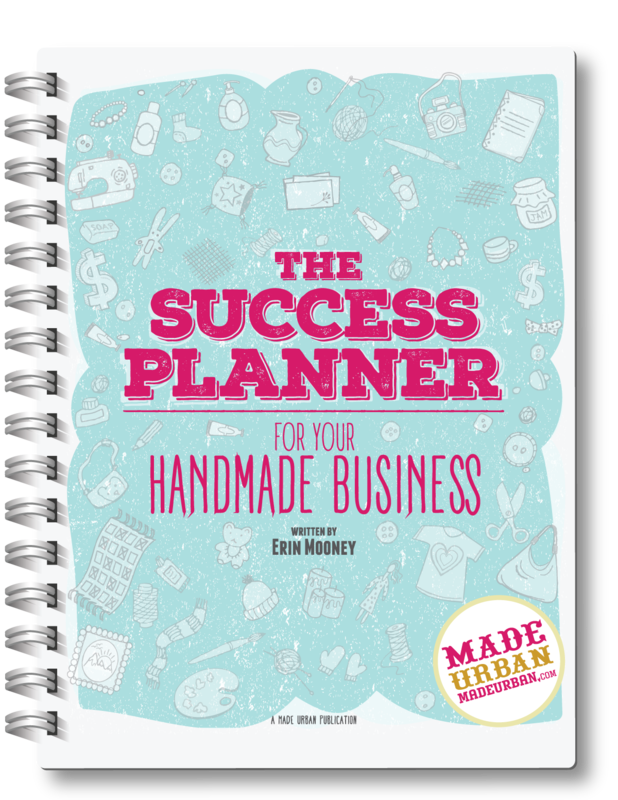 I mean…you can squeeze them in, but this planner is focused on making your business successful. When you’re working on it, I want you to be focused. No multi-tasking! The payment form won’t work for me, what should I do? Outdated browsers and browser extensions can cause glitches with the payment form. If it’s not working for you, please try opening the payment form using a different browser (e.g. if you’re currently using Internet Explorer, try Firefox or Chrome), or, update your current browser and try again. If that still doesn’t work, please email me and I’ll troubleshoot with you. I purchased the planner, where is it? Once your payment successfully goes through, a page will open with a button to download your PDF’s and information on how to download. You’ll also be sent an email invoice, which also has a button to download and additional information. If you do not see that email in your inbox or spam folder, please email me (there is also a link to a contact form in the footer) with the email address you purchased under and the date you purchased. The leading cause of undelivered invoices is a typo in email addresses, but I can get that fixed!